Tokyo is a numbers game. 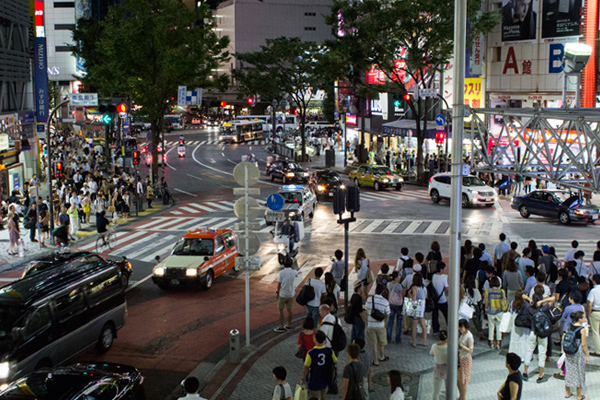 Did you know there are more restaurants per capita in Tokyo than anywhere else in the world? Life expectancy exceeds many of the world’s developed nations with women averaging 86 and men 79 years of age. And then there’s Skytree, the world’s tallest freestanding broadcasting tower. Don’t visit Tokyo without a plan — including a reliable guide book, decent walking shoes, and a map of the nearly 20 metro lines. This sprawling metropolis is anything but “discoverable.” Its 23 wards are spread across a metro area of 5,310 square miles. Most visitors only see five or six around central Tokyo. Since Tokyo is often a layover on international flights to and from Guam, make the most of your time to experience the sights, sounds, and flavors of this cosmopolitan Asian city. 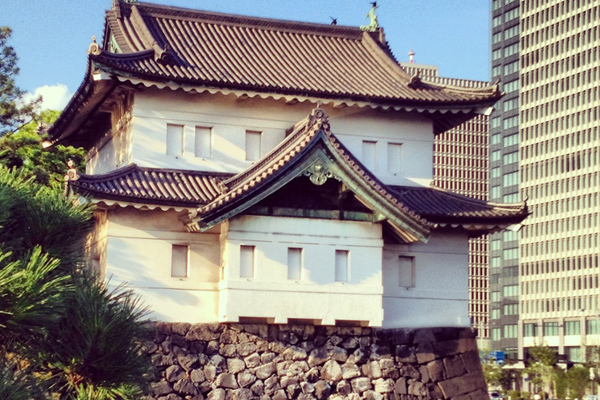 Start your day with a glimpse of Tokyo’s royal past at Imperial Palace East Garden. You’ll be immediately struck with the old Japan juxtaposed with its modern counterpart. Once the biggest fortress in the world and the emperor’s private garden, this lush green space now occupies the heart of the city. Imposing castle gates contrast with delicate cherry blossoms and irises. After a leisurely walk through the gardens, take the metro to the iconic Harajuku area, stopping at Takeshita-dori station. Prime real estate for people-watching, Harajuku is known for its patrons — young hipsters parading in a mash-up up cosplay and punk get-ups that are anything but conservative. 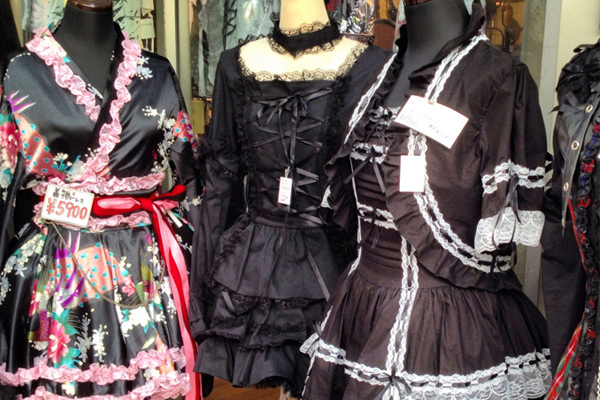 It’s relatively tame by day, so enjoy the cosplay inspired shops along Takeshita-dori, an alley lined with stalls and shops. 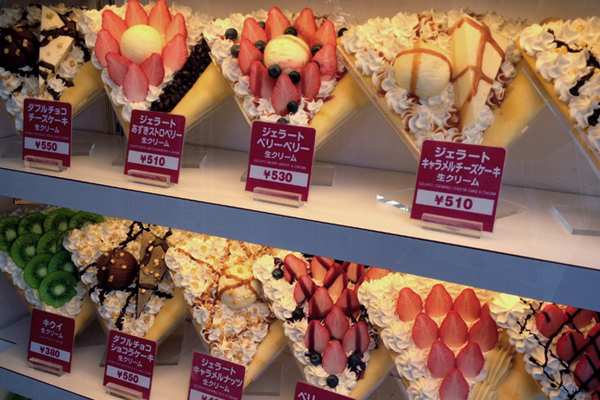 Refresh at one of the crepe stands where you can choose from an endless variety of sweet treats. Hint: choose cheesecake. 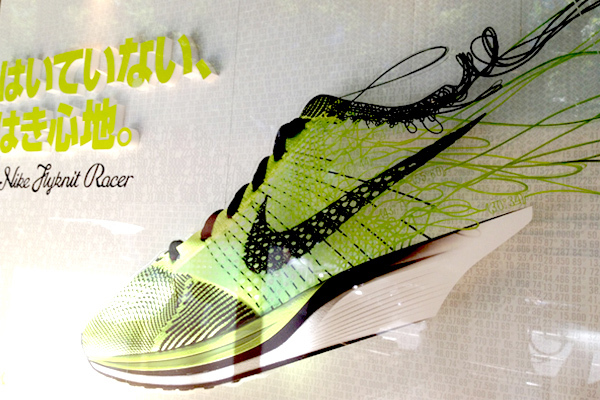 Soon you’ll be idling down the tree-lined Omotesando-dori, Tokyo’s answer to the Champs-Élysées. If you’re a budget traveler, this will amount to nothing more than window shopping, which is still interesting considering the inventiveness of these luxury brand shops. Full from your million-calorie crepe, you skip lunch and head to the Meiji Shrine, the national focus of Shinto devotees. Built in 1920, the shrine honors the emperor who took Japan from a medieval state to a modern one. The massive torii gate is made from 1,700-year-old cypress trees from Taiwan and ushers pedestrians into its tranquil interiors. 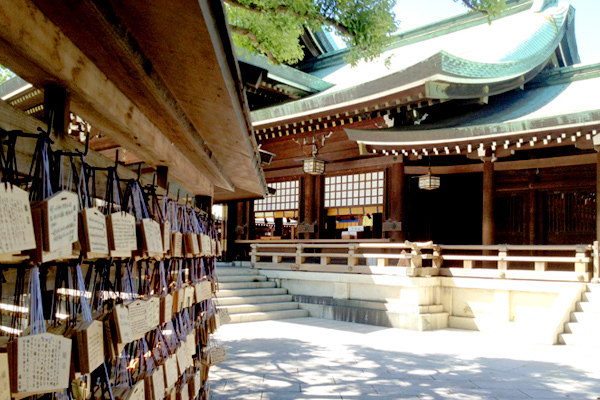 This quiet park is centered around a shrine that holds the city’s prayers and wishes, which visitors write on a small wooden plaque and tie to a “divine” tree. Hop on the metro and head to Shibuya station, Hachiko exit to see Tokyo’s “Times Square” sparkle by night. Head to the second floor of Starbucks to watch the organized chaos of the famous intersection below. There’s no shortage of shopping and dining in this hip district frequented by teens and twentysomethings alike. Travelers from Guam will relish the familiar sight of multilevel stores like Forever 21 and Zara. Having lived and worked in Tokyo I find your perspective on the city very interesting. I return there every couple of years due to family and always discover something new however often I visit. I’m going to do a five city tour this coming Christmas and will try to do a series on my blog Sketches in Travel. One piece of advice I would give is that if you have friends living there, use them, especially locals. They will take you to places that are off the beaten tourist track and help to discover the real Japan. Hi Gavin. We actually did stay with friends in Tokyo. They were a huge help, especially because English is not widely spoken. Thats very true. Fortunately they do most signs in English which can be a great help. Once you head an hour or two outside Tokyo it becomes a very different place. I’m glad you enjoyed visiting as Japan has a very special place in my heart. I hope when I finally get to write about it in my blog that I will do it justice, as you have done. Sorry for not replying sooner. I’m currently in Japan and doing a number of posts on this trip. Will be looking at your posts as a guide. Please when you get a moment take a look and see what you think. When I went to Japan I spent two days in Tokyo and I hit every single one of these! Great list!